RRP $340.00 $316.00/unit for 4 pcs. The Fiber Side Chair Wood - designed by Iskos-Berlin - is another member of the Fiber Chair family by Muuto. With an eye for the essential, each line and curve has been designed so that the chair offers maximum comfort with minimum space requirement. The simple and classic design offers many ways to position the Fiber Side Chair in the flat - whether at the dining table or in the office. Like the rest of the Fiber Chair series, the Side Chair is also free of unnecessary intermediate elements, giving it a clear shape without eccentricity. The composition of gentle curves and rounded edges makes the chair appear simple and timeless, without losing in terms of comfort. 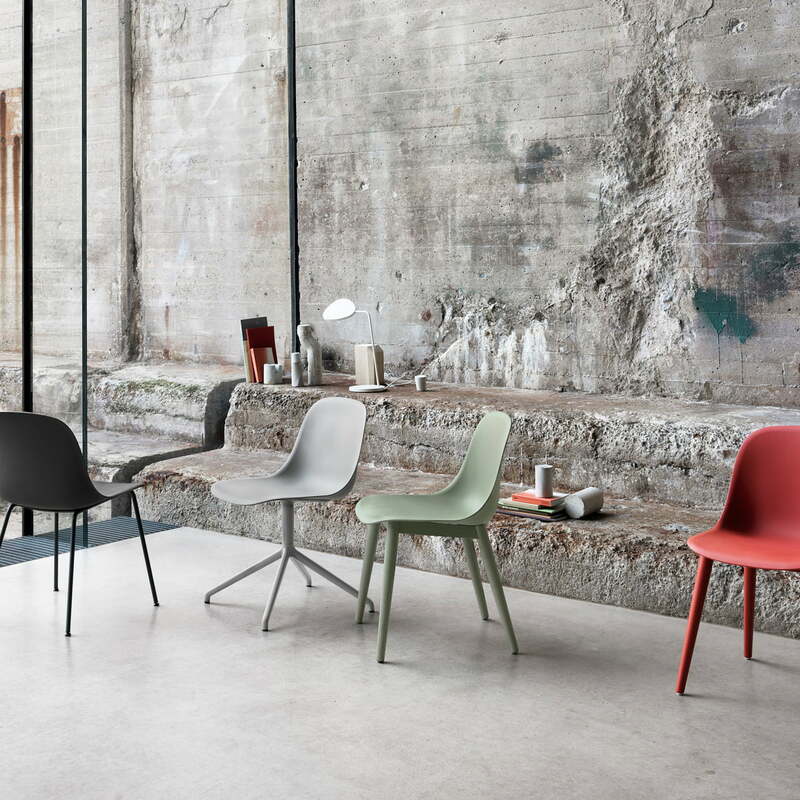 The Side Chair - as well as the other Fiber chairs from Muuto - consists of an innovative material which is 100% recyclable. The seat of the chair is manufactured to 25% of wood fibres and 75% recyclable plastic. Together with the wooden base, the Side Chair is a very sustainable and yet stylish home accessory. 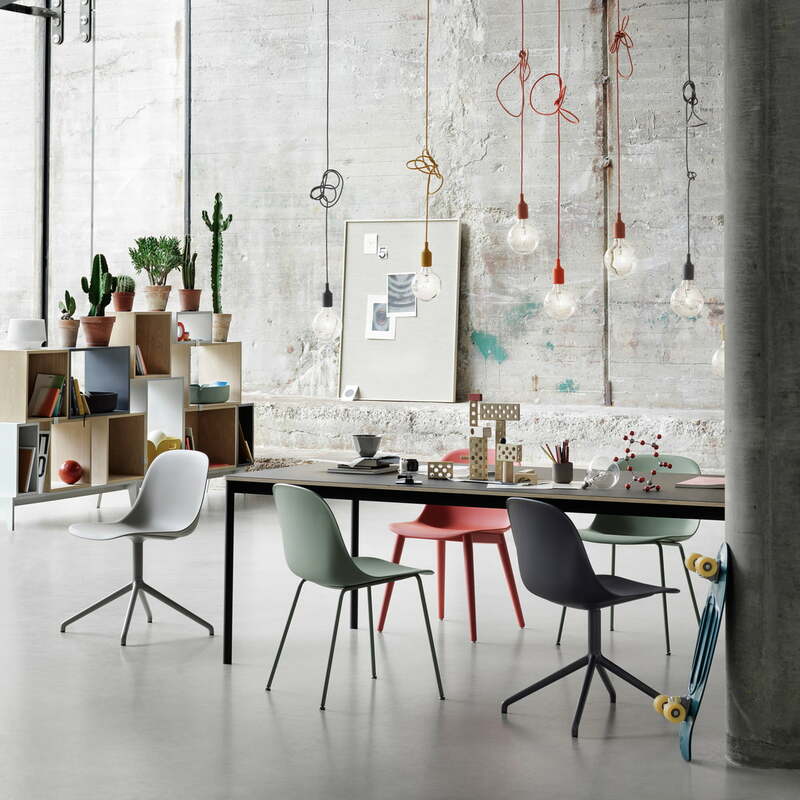 The chair is available in various colours, whereas the leg frame is always made of wood. 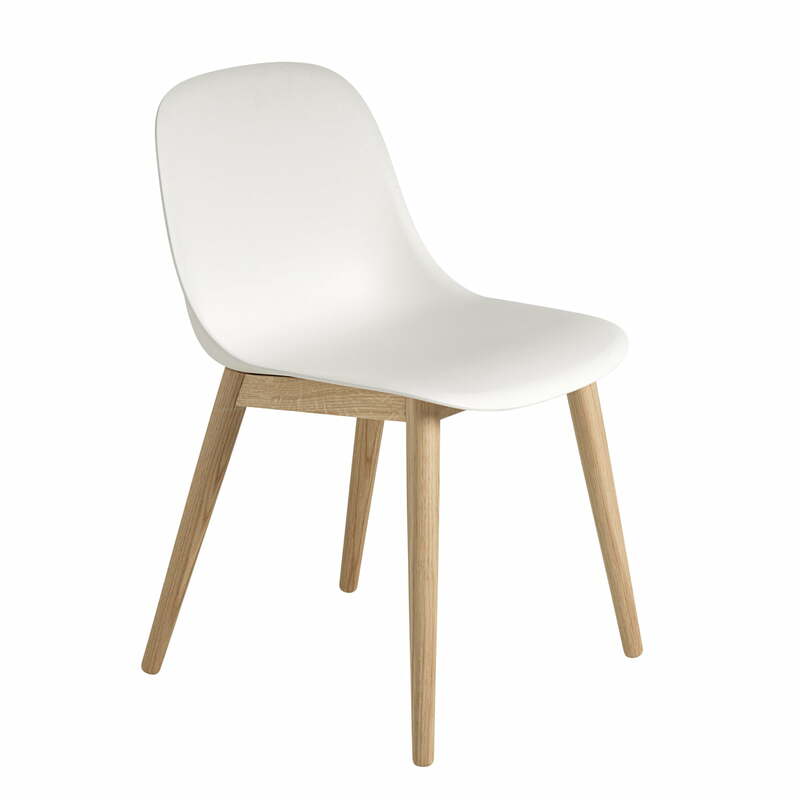 The Fiber Side Chair Wood by the manufacturer Muuto with white shell and a frame made of oak. Classic shapes and simple design meet recyclable materials. 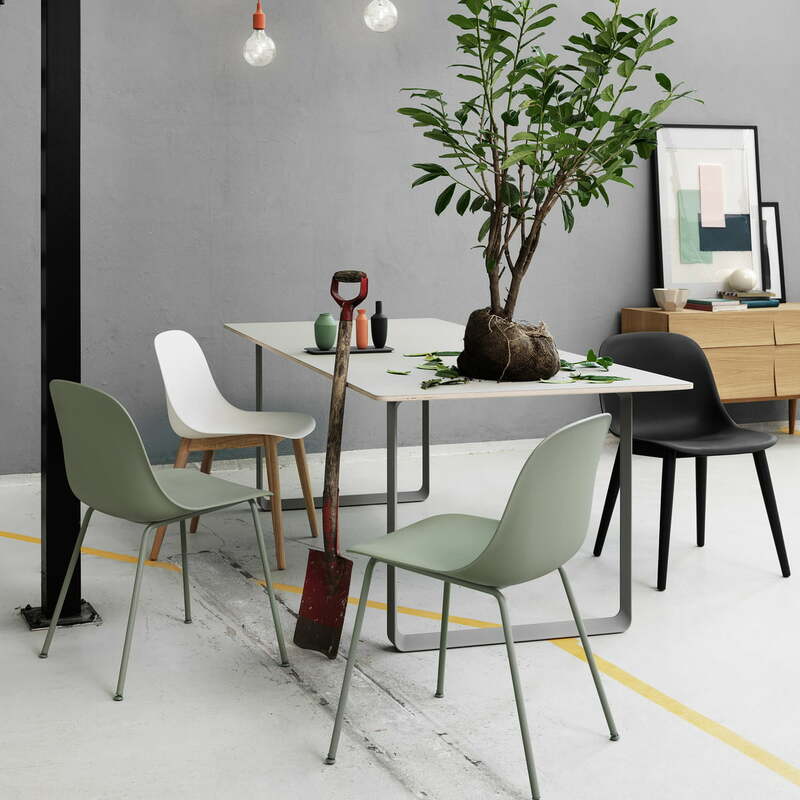 Fiber Side Chair Wood variants by Muuto. Give your living room a touch of Scandinavian design. The variety of colours offers the perfect option for every lifestyle.